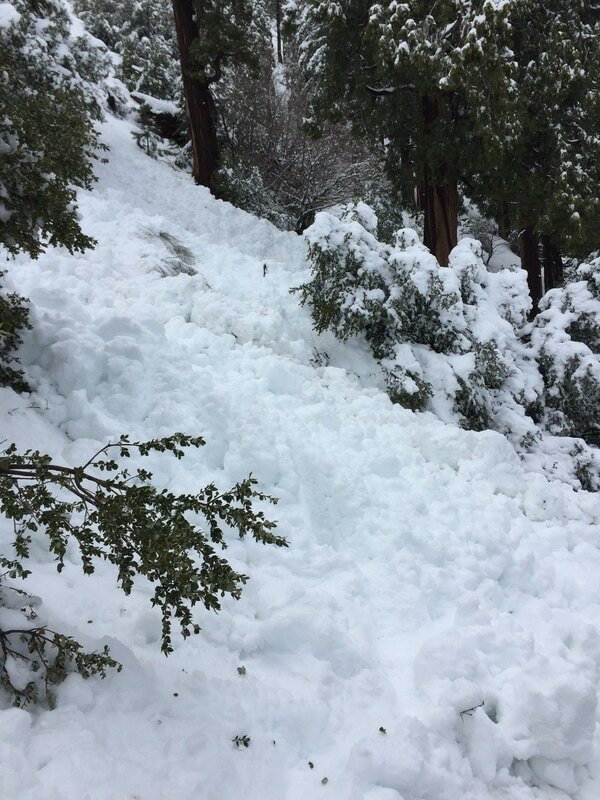 Numerous recent avalanches (likely 2/18) on both sides of Icehouse canyon ending on the canyon floor. One fairly large slide crossed the bootpacked trail just above Columbine Spring at which point we retreated. We did not proceed off-trail as planned so could not determine snow stability. 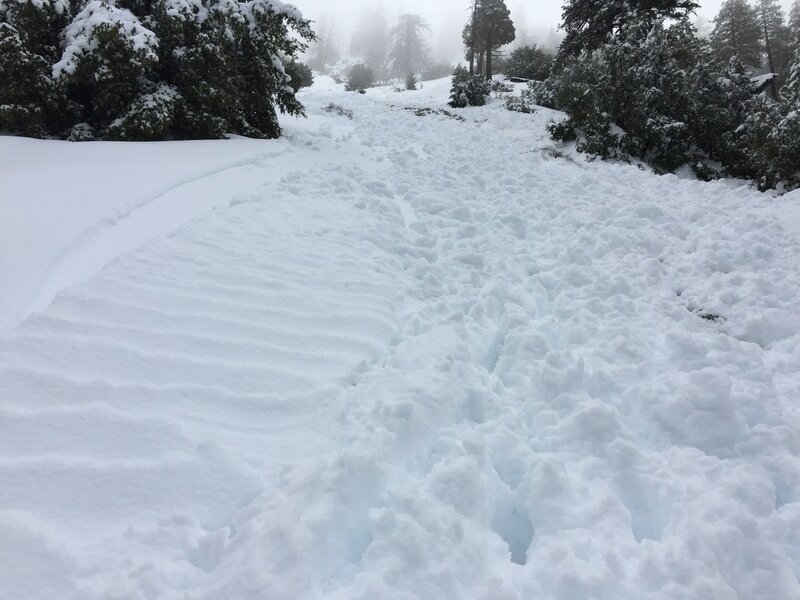 While I am by no means highly trained in avalanche nor snow conditions, the snow was dense and heavy and the avalanches likely occurred on 2/18 after a warming period and possibly after rain that day. You can see a slab release in one of the photos just above the trail. The snow seemed fairly stable and consolidated from the nightly re-freeze, however temps were forecast to reach the low 40's, so our group agreed more avalanches were likely to occur as the day warmed so we retreated.